Home Tools Is TOR Browser Safe to use? Is tor browser safe to use? if you are searching for this question from few hours or even few days then you are at perfect place because you don't have to search this anymore. Deep web or the dark web is a hidden web which consists of 96% of the total web. Yes, you read that right. The normal internet which you use and which seems so vast and unexplorable comprises just 4% of the total web. Now you can only imagine how big the deep web is. But since the deep web is meant to be hidden, therefore it cannot be accessed by your day to day browsers. 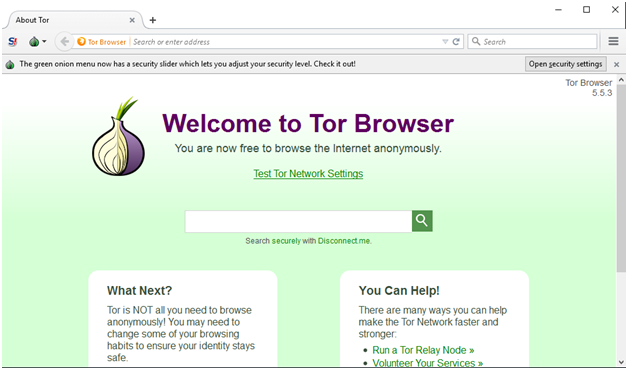 For it, you need a special browser such as the Tor browser. It lets you access the deep web just as a normal browser allows you to access the normal web. But deep web in itself is a very risky water to be treading upon. Therefore, you need a smart and safe browser to protect you. There are many concerns amongst the people regarding the safety of the Tor browser. Some consider that it doesn't provide the necessary protection to its users. So is tor browser safe? Should you use it to access the deep web? Let us find the answers to these questions below. A tor browser is a web browser, but unlike the normal web browsers, it is meant for browsing through the deep web. It hides your identity and allows the users to access the deep web anonymously. It is developed by Tor Project, which is a not for profit organization which roots for anonymity on the web. It is backed up by the Government of the United States of America and receives its funding from their only. It was earlier known as the onion browser but later its name was changed. It is absolutely free to use and can be downloaded by anyone from the website of the Tor Project. Before we learn the answer to the question – Is Tor browser safe, we should know about the history of Tor browser. Tor browser, then known as Onion Routing, came to the fore in the year 1997. It was developed by DARPA. But renowned computer scientists Syverson and Roger Dingledine along with Nick Mathewson further developed it and renamed it as TOR project, relaunching it again in the year 2002. The basic motto of the TOR project has always been to promote anonymity over the web and it is in match with the policies of the US government, who also promote web anonymity. Due to this, the US government heavily invests in the TOR project and provides them much of their funds for their growth. The first version of the Tor browser was released in the year 2003 and since then it has been further developed to be as good as it is today. Now let us find out is tor browser safe? Now, we all know that accessing the dark web isn't much safe because of the criminal activities which happen over there. You information can be leaked and you can land in all sorts of trouble thereafter. Therefore it is essential that the browser you use for accessing the dark web is a good one which protects your information, ensures your privacy and maintains your anonymity. And it can be said that the Tor browser stands up on all these regards. It is a very well developed browser which maintains your anonymity on the dark web and ensures that you stay safe from all kinds of creepy stuff which could either harm you or your device. So I guess now you have got the answer of your question is tor safe 2017. Another question people searches is that is using tor browser illegal? no not at all. Tor browser is not illegal. · Double click this preset command. · Now it will change from True to False. Let me know what you think about this question which everybody wants to know is tor safe 2017 in comments below. You views means a lot to the world so make sure you share your views on this hot topic. So don't forget to share this guide with your friends who are also searching for this question is tor safe to use?